It's easy to see why Leonard Bernstein chose this cottage as his summer residence for a few of his early Tanglewood years. Just a short walk across the courtyard from the main house, it's cosy and private. 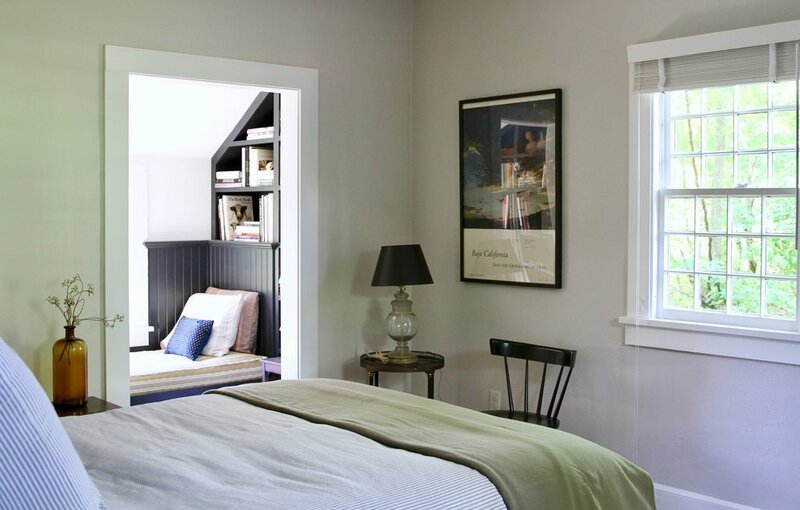 In the bedroom, a queen bed is outfitted in Matteo Linens, down comforter, Faribault Wool blankets. A reading alcove, or "nook" is the perfect spot to curl up and read, daydream, or just gaze out the window to the back fields. The living area is light filled and welcoming, with a queen sized sleeper sofa, dining table, and kitchenette/wet bar. A private porch and outdoor seating area. 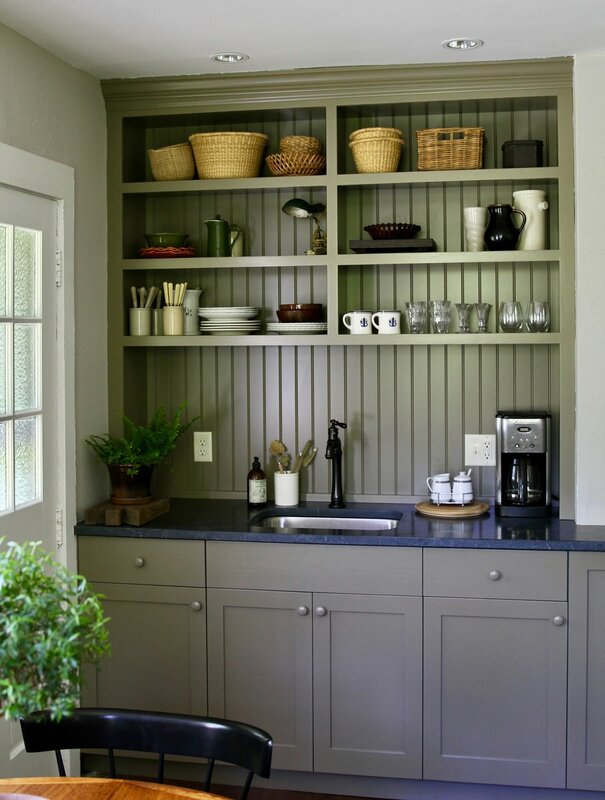 A custom built kitchenette, with soapstone counters and an under counter refrigerator. A coffee maker is provided, and, of course, guests are welcome to breakfast in the main house dining room. 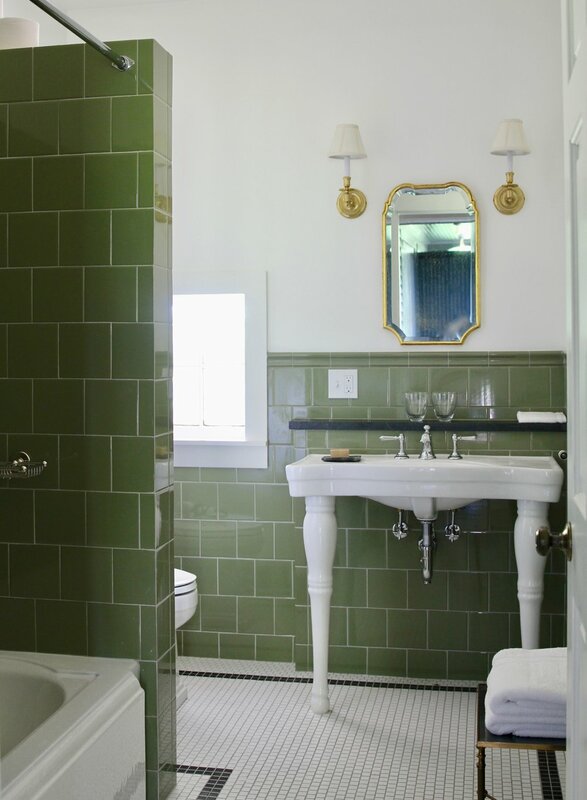 Moss green tiles adorn the bathroom here. A cast iron tub with shower, and radiant heated mosaic tile floors add a bit of elegance. Toiletries by Aesop.